Established in 1966, FDS® - "Feminine, Discreet, Sensual" is one of the most well known and trusted brands in Feminine Personal Care. FDS offers a range of feminine deodorant sprays and washes which are currently sold through a number of retailers. With over 40 years of experience helping women feel fresh and confident with our FDS products. All FDS products are clinically tested, 100% hypo-allergenic to ensure safety. 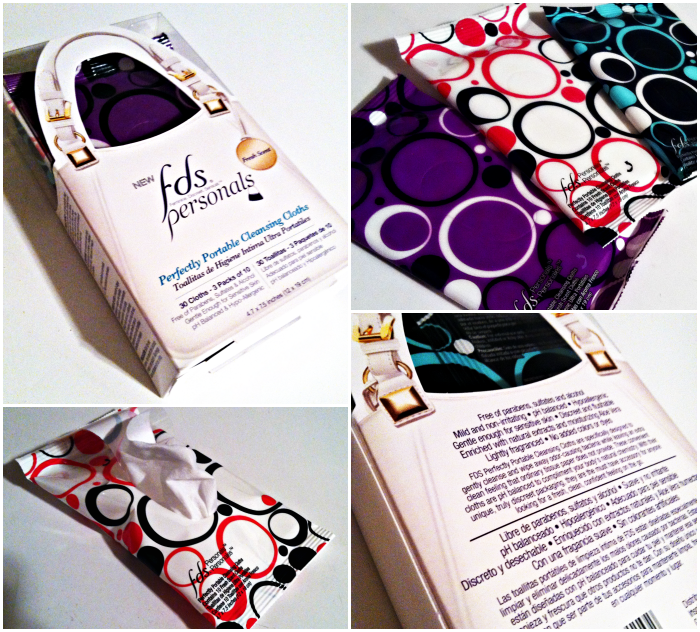 FDS Personals are a new product line coming out of Perfectly Portable Cleansing Cloths for women. They are discrete and fits easily into any purse or bag for travel. As a woman, I know feeling fresh and personal hygiene is an important thing. What is even more important to me is that the products I choose to use are safe, yet effective, on my body. I do not like the thought of using chemicals when there are better ways to feel fresh and clean without the use of such harsh products. FDS Personals knows more women are switching from chemical products to more of a natural approach. Each box contains 30 cloth wipes. There are three packs with 10 each inside. The packs are a very nice modern design, easy to open and close back up as well. They are lightly scented so there is no over-whelming perfume smell and lightly moistened for comfort. Another great feature is that they are affordable., retailing between $4.99 to $5.99. Right now, you can find these at select Walmart stores nationwide. Disclaimer: I received a sample of this product to review and discuss. Although this was a sponsored post, all opinions are my own.